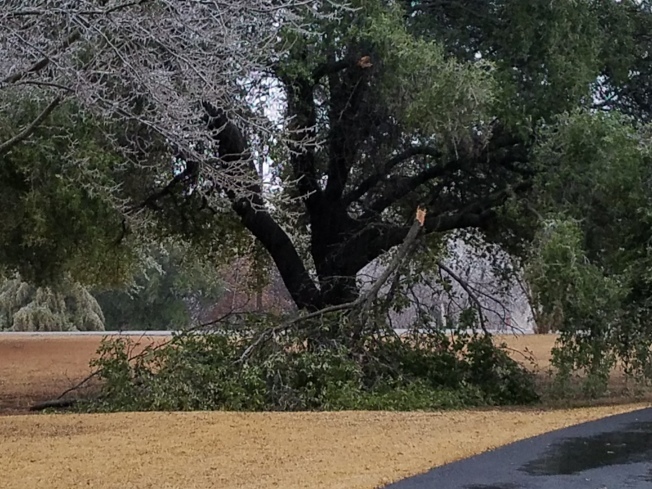 One of the most destructive tree diseases in the United States has been killing oak trees in Central Texas at epidemic proportions, but it also continues to branch out in North Texas. Horticulturist Daniel Cunningham has several tips on how you can help stop the spread of the disease. What is oak wilt and what type of oak trees does it effect? Oak wilt is a fungal disease that was actually first discovered in Dallas in 1961 but has spread all over Texas. We are most concerned with the disease killing live oaks and red oaks, the most common landscape trees which make up over 1/3 of tree canopy and over 2/3 of new trees purchased. How can Texans prevent the spread of the disease? This time of year, the main is focusing on keeping firewood where it is. Moving firewood from county to county can contribute to the spread of the disease as well as the beetles that spread the disease. Firewood at the ranch should stay there and any infected red oak trees should be burned before spring. What else can homeowners do to protect the trees on their property? Best to only prune trees between Thanksgiving and Valentine’s Day. Disinfect tools. If you have to prune storm damage, do it asap and spray paint wounds. Buy only well-seasoned firewood: typically dry with loose bark and cracked ends. Cover any unknown wood piles with plastic. Contact a certified arborist if the see any large dead spots in their red oak trees or yellow or brown veins in their live oaks. Go here for more information on oak wilt and here for more information on firewood.